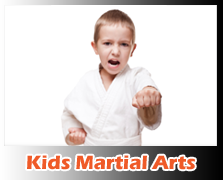 Your child will develop focus, practice respect, increase their confidence and discipline through Martial Arts. The best part? It's fun! 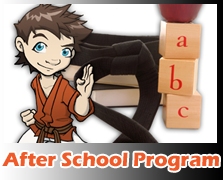 A safe, fun and educational environment for your child to wait for you to finish your work day! Your child will spend the camp enjoying a variety of activities including martial arts, indoor and outdoor games and off-site trips. 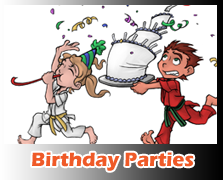 Fun and games with a martial arts theme to celebrate your childs birthday. All of the fun without the stress of cleaning up the mess! Strength, power and confidence are only some of the benefits. 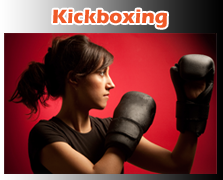 You'll learn essential self-defense skills, get a great workout and have fun too. Blast fat, sculpt your body and ramp up your energy levels. Find out why Muay Thai is the best way to be in the best shape of your life! 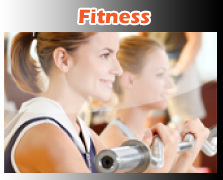 Increase your energy, burn fat and develop your core strength through our specialized strength and conditioning class. There is a lot of truth to the old adage strong body, strong mind. 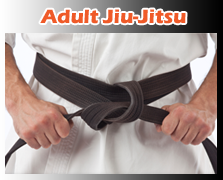 Through martial arts you can unlock your physical and mental potential... all while having fun! Learn new skills, meet new people, instil a sense of confidence and well being in your child - anything is possible. With a range of programs, you'll find exactly what you need to reach your goals. Whether you're looking to improve your health and fitness, learn self-defense, take up a new activity or find a fun activity for the kids we can help! Find out which program is right for you!